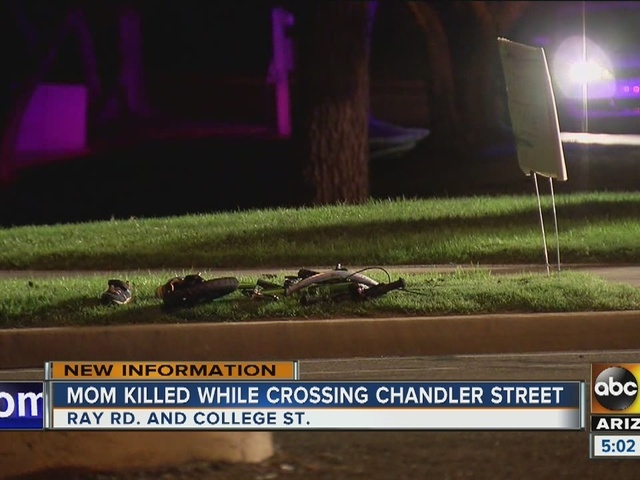 Police are releasing more information about a Chandler woman who was killed while in a crosswalk over the weekend. The accident happened around 6 p.m. Saturday afternoon near College Avenue and Ray Road. 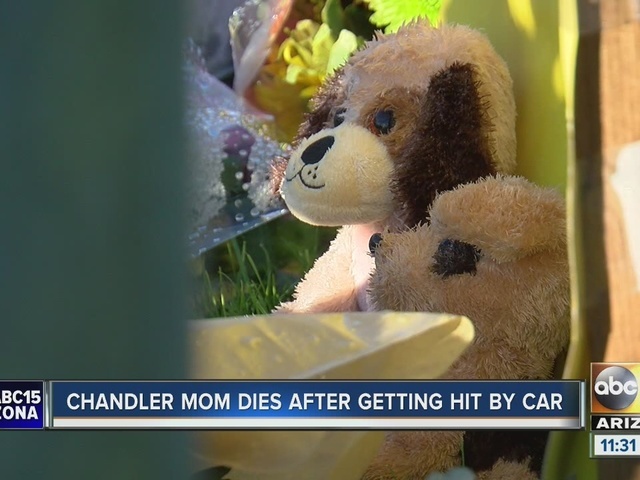 Authorities have identified the woman as Pamela Hesselbacher of Chandler. 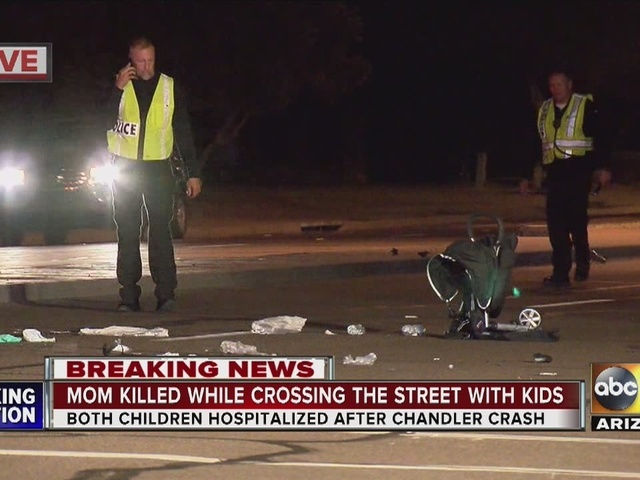 The Chandler Police Department says the woman and her two children, both younger than four years old, were crossing Ray Road in the crosswalk when they were hit by a 39-year-old male driver. All three were taken to the hospital with life-threatening injuries and were in critical condition, police said. 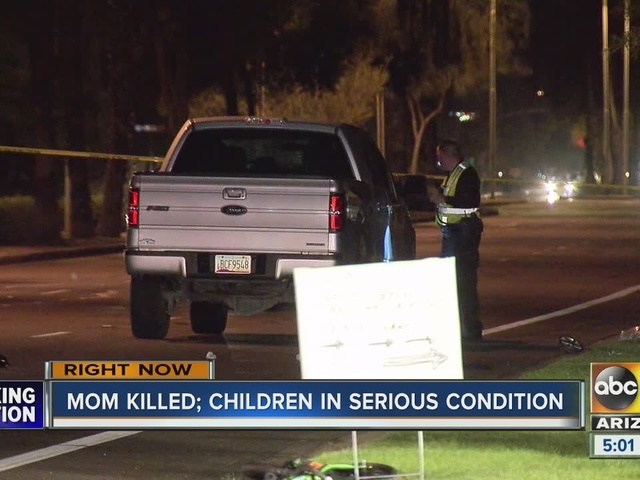 The children's condition was later upgraded to serious, police said. Family members said Hesselbacher was 31 years old and worked in marketing for General Mills. They said her children are three and one years old. The driver was arrested for allegedly causing death by use of a car while driving on a suspended license and may have run a red light. Police have identified the driver as William Joseph Epperlein. 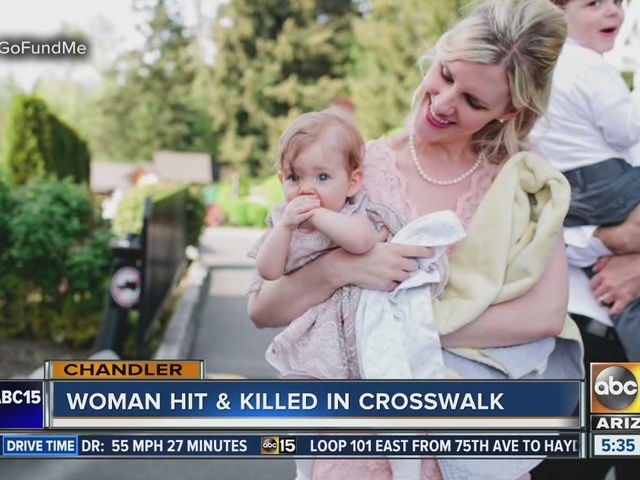 "Preliminary information indicates that they had the walk sign and that the light was red when the driver came through. We haven't confirmed that yet. 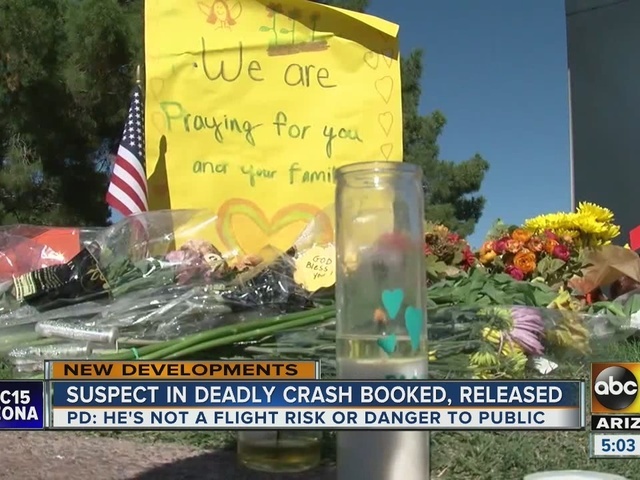 We are still sorting that out through witnesses, but the first two witnesses we talked to confirmed that," said Lt. Scott Veach, with the Chandler Police Department. 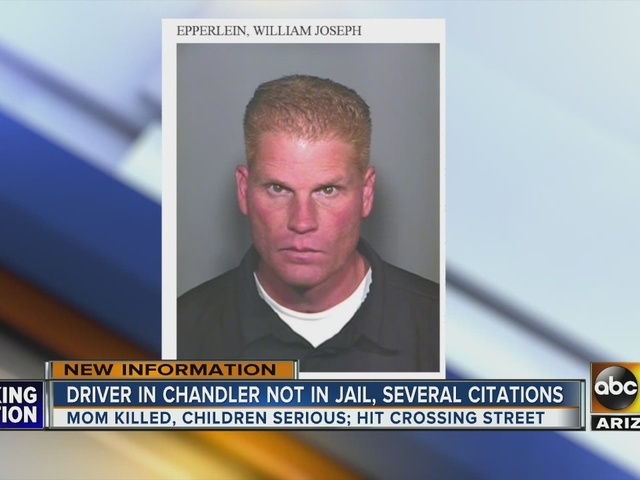 ABC15 learned on Sunday night that Epperlein was never booked into county jail. 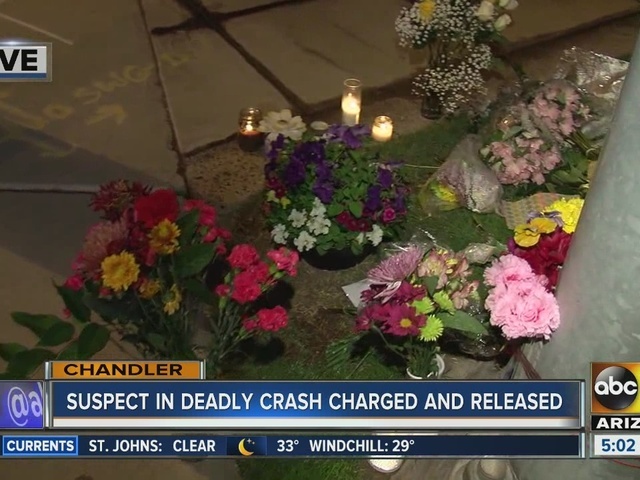 According to Chandler police, Epperlein was charged, processed and released. However, it's unknown why he was never booked. We knocked on a door at a home listed under Epperlein's name. A man, who goes by William and matches the mugshot released by Chandler police, answered the door. He refused to answer any questions regarding the deadly accident. Late Saturday night, someone stopped by to place a candle and note at the scene of the crash. Stay with ABC15 and abc15.com for the latest updates.